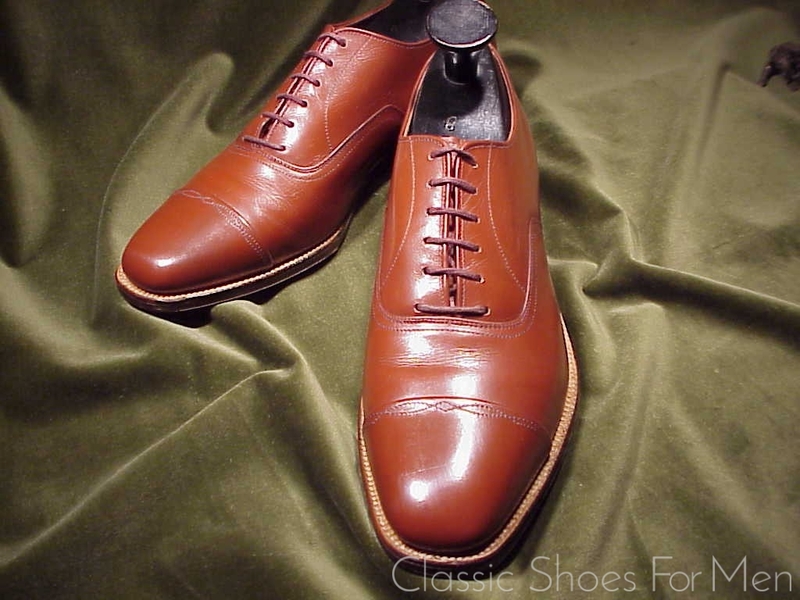 The handwork in this shoe, up to and including the hand-sewn sole, is a testament to the skill of this artisan and a compelling example of traditional shoemaking at its very finest. Overall this degree of hand work is rarely if ever seen today. 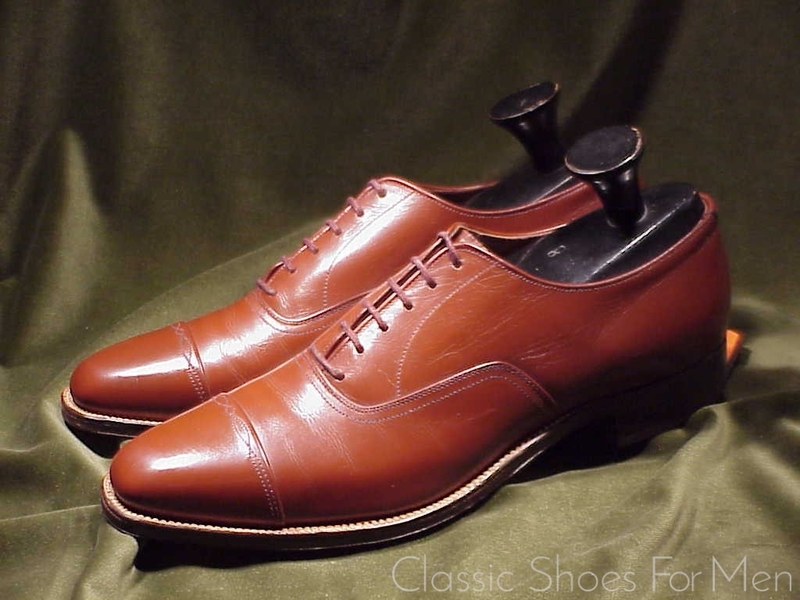 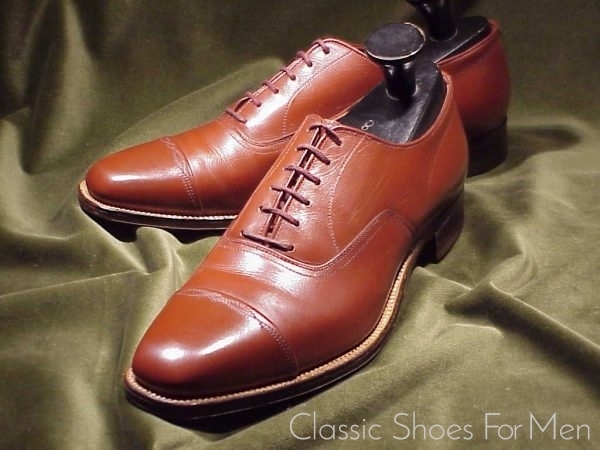 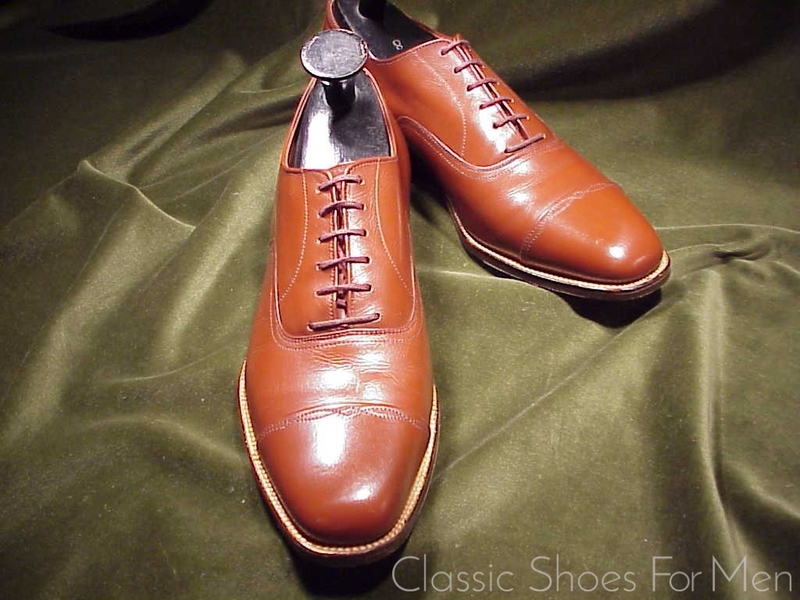 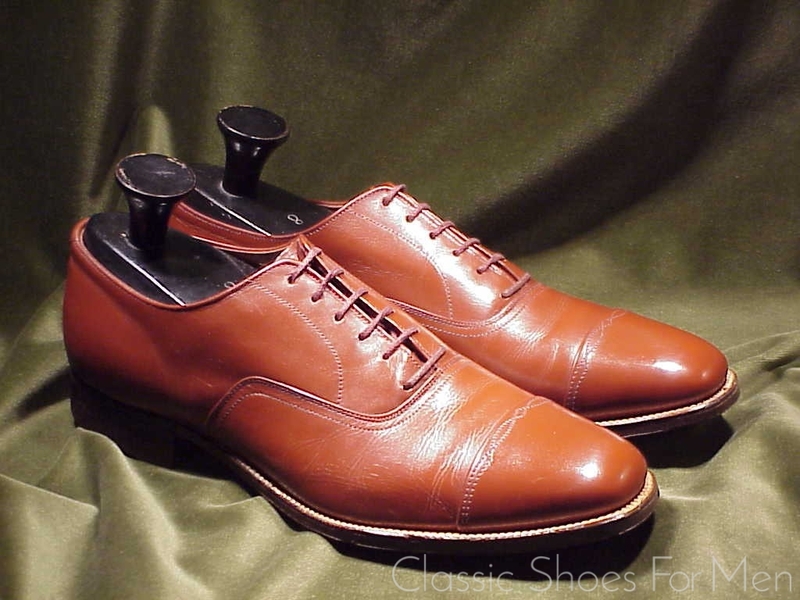 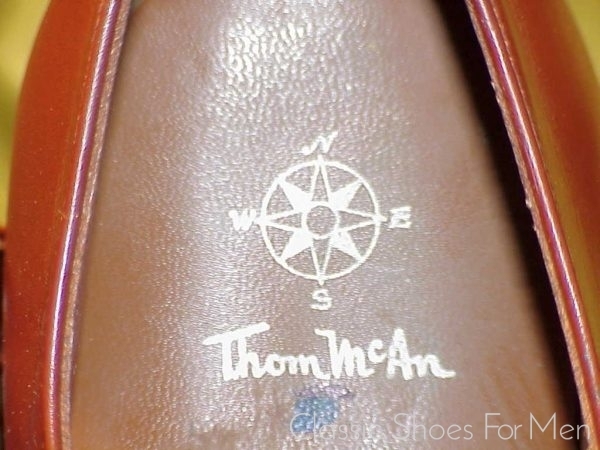 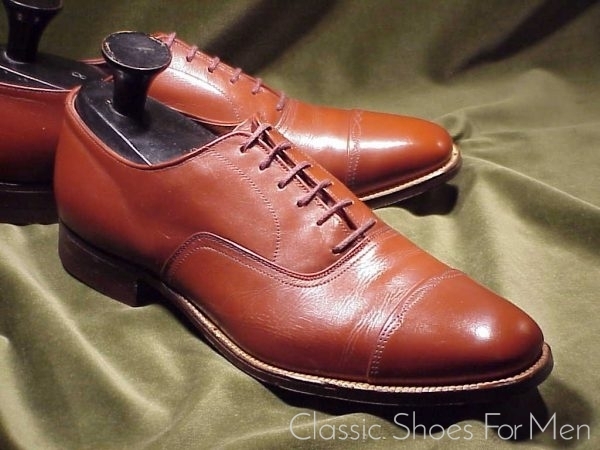 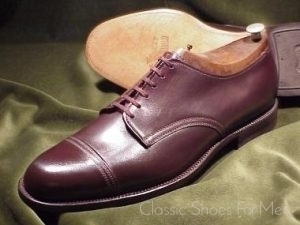 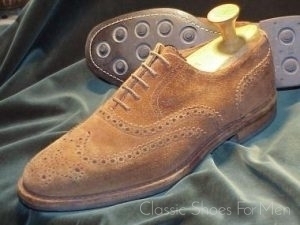 The 1000 Euro ready-mades of Lobb and Green and Weston do not compare to this shoe. 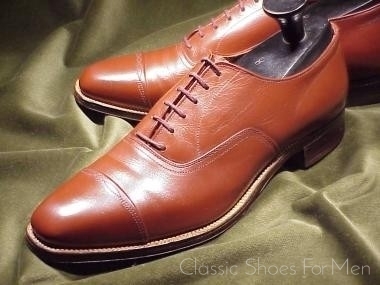 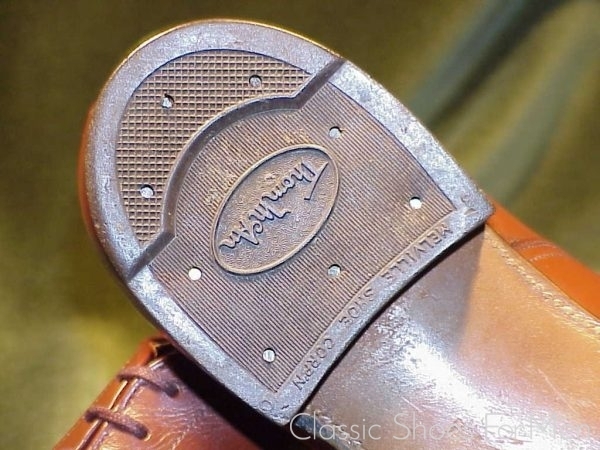 As seen by the contrasting hand-sewing of the sole to welt, this is 19th century hand craftsmanship, harkening to pre-Goodyear Welting. 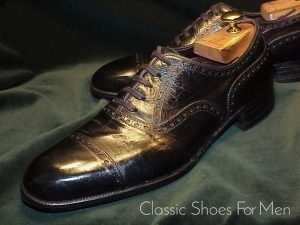 The overall appearance of this shoe is one of ultimate elegance. 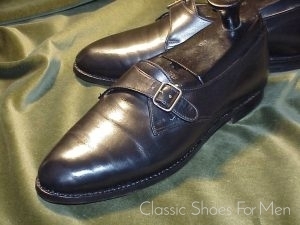 This is the last word in a business and daytime dress for the gentleman who’s has the good fortune to be this size. Condition: Nearly new. 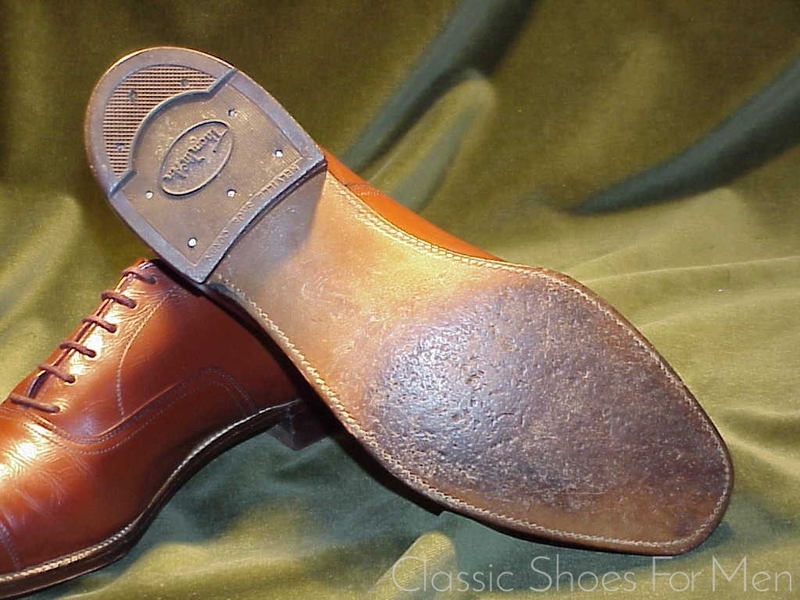 Although at least 70 years old, these shoes show no effects of age and almosy no wear..
Zustand: Neuwertig. 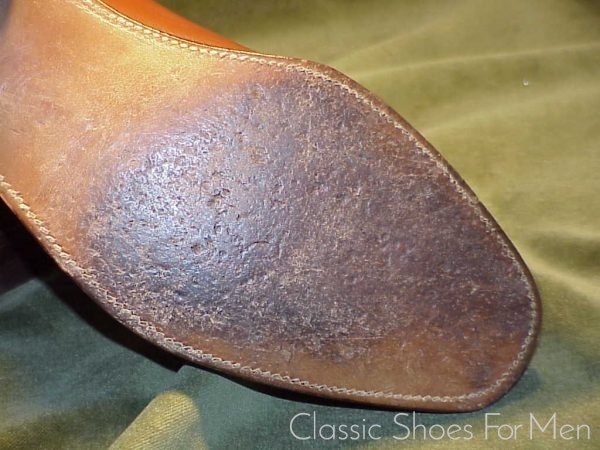 Original Sohle und Absatz sehr leicht getragen. Obwohl die Schuhe nahezu 70 Jahre alt sind, sind sie in ausgezeichnetem fast neuem Zustand. .
Grösse: 42E…..US 9E…..UK 42F, für den mittel-breiten bis etwas breiteren Fuss.